CBS is still working on their adaptation of the Nancy Drew mysteries, and now they finally have their lead. 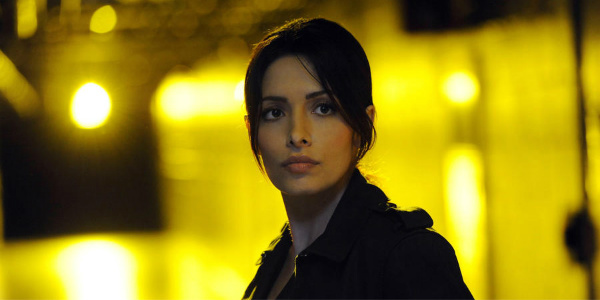 After making a commitment to fill the role with a non-white actress, CBS has found their match in Person of Interest’s Sarah Shahi. According to TVLine, Sarah Shahi has decided to take on the title role in the pilot for Drew, their version of the iconic crime buster. Shahi got her start playing a cheerleader in Dr. T and the Women in 2000 and has gone on to have roles in Alias, The L Word, ER and Dawson’s Creek. She’s had starring, co-starring or notable parts in Life, Fairly Legal, Chicago Fire and she’s been on Person of Interest since 2013. Sarah Shahi’s Persian and Spanish heritage certainly sounds like it would be right in line with the network’s wish to fill the part with someone other than the typical blonde who’s usually filled the role of Nancy Drew. The president of CBS, Glenn Geller, specified that the network was looking to cast in a “color-conscious” way, so that the actors on Drew would represent what America looks like more than other television shows. The network also confirmed that Nancy Drew would not be played by a white actress. The character first appeared in fiction in 1930, and those stories have provided inspiration for five theatrically released films (four of which were released in the late 1930s, while the most recent one came out in 2007) and a few TV appearances of the character. In 2002, ABC aired Nancy Drew as part of The Wonderful World of Disney, but the most well-known television version of the character was on The Hardy Boys/Nancy Drew Mysteries, which ran from 1977 to 1979. Nancy Drew has typically been a teenage amateur detective, but Drew will feature the sleuth as an actual NYPD detective who’s in her thirties and dealing with modern life while using her “uncanny observational skills” to find a whole host of would-be criminal masterminds. While the past decade and a half has seen CBS come to specialize in shows with a case-of-the-week format that almost always revolves around murder, hopefully their version of Nancy Drew won’t be too grim and gritty for those who loved the stories as kids to latch on to the new series. The cast also includes Steve Kazee (Shameless) as Nancy’s former boyfriend and an investigative reporter from the NY Times, Felix Solis (The Good Wife) as her boss at the NYPD, Vanessa Ferlito (Graceland) will be playing a fellow police detective and Anthony Edwards (ER) will be along for the ride as Nancy’s dad. With Sarah Shahi in the lead, it looks like Drew is definitely on its way to holding true to the desire to represent a broader scope of society. Now all we have to do is wait and see if the show manages to pique our interest.